Show of your pride for the stars and stripes this 4th of July with this festive set. 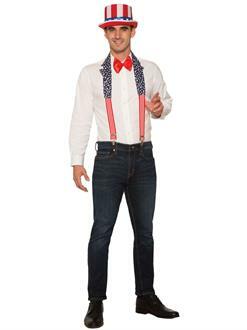 The Patriotic Collar and Suspenders kit is great for Independence Day, President's Day, or any other day for that matter! Get yours quick when you order it on our online store!